Monitoring volatile organic compounds in commercial buildings is critical, especially since numerous studies report a connection between indoor air quality and occupant health. Commercial building owners and facility managers can lower energy costs and improve occupant comfort with the easy-to-use and -install IAQPoint2. 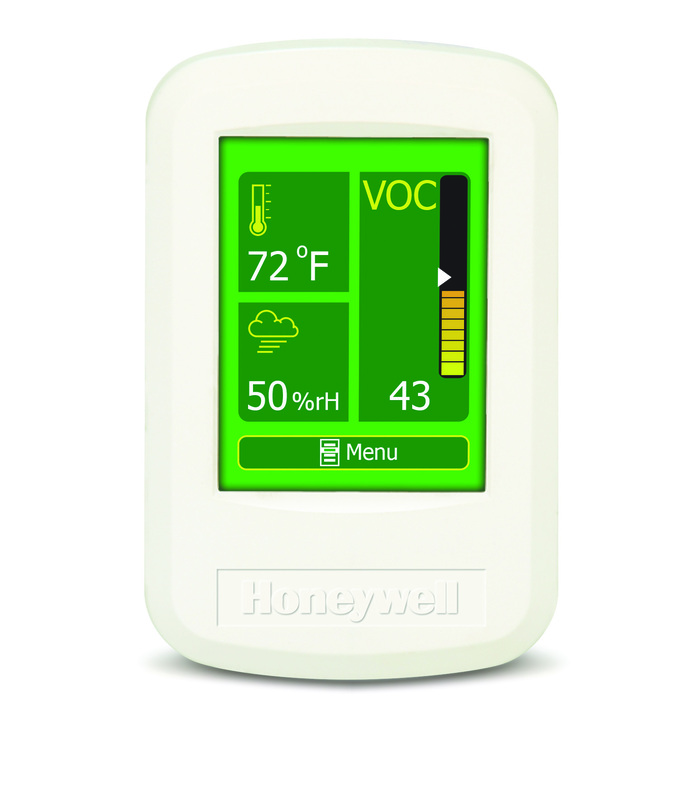 The customizable touchscreen monitor from Honeywell Analytics relies on AppliedSensor’s iAQ-engine to sense the presence of potentially harmful volatile organic compounds (VOCs) emitted from cleaning supplies, paint, glues, furnishings, building materials and more. The IAQPoint2 increases energy efficiency by triggering ventilation as a standalone action or as part of a building automation system. Specifically, the iAQ-engine’s demand-controlled ventilation (DCV) feature may reduce fan use up to 40 percent by alerting a building’s HVAC system to increase ventilation only when VOC, temperature or humidity levels exceed target levels. Ventilation stops when these levels return to normal. 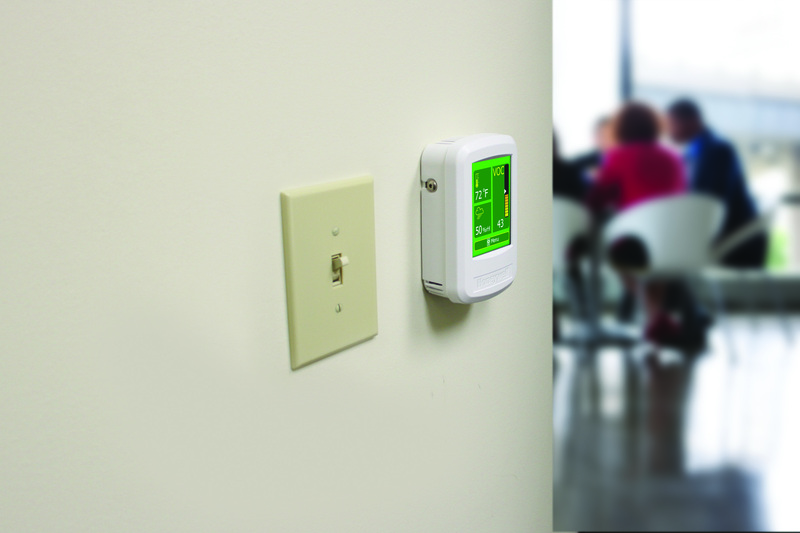 “Monitoring VOCs in commercial buildings is critical, especially since numerous studies, including The European Respiratory Journal and Occupational & Environmental Medicine, report a connection between indoor air quality and occupant health,” said AppliedSensor Inc. CEO Tom Aiken. Applications for the IAQPoint2 include offices, retail centers, restaurants, fitness centers, schools, hotels, museums and laboratories. The official product webcast, “Improving Energy Efficiency and Indoor Comfort through New Advancements in Indoor Air Quality Monitoring,” can be found at IAQPoint2.com. Relying on 25 years of research and development, AppliedSensor designs and manufactures chemical sensor systems for a broad range of applications, including intelligent indoor air quality monitors for building automation, in-cabin air quality monitors for passenger vehicles and hydrogen leak sensors for fuel cell vehicles. AppliedSensor has facilities in Warren, New Jersey; Reutlingen, Germany. Additional information is available at appliedsensor.com.